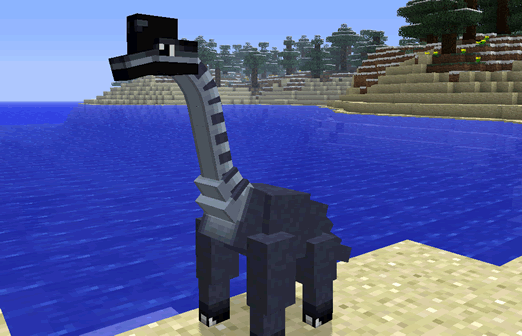 A Jurassic Park is a safari amusement dinosaur Minecraft mod. We have recreated Dinosaurs and other extinct animals and exposed them in a mc safari park to the public, where people can ride in jeeps and drive by different enclosures filled with dinosaurs to encounter. In the MC World many Jurassic Parks will appear. The majority of prehistoric creatures created by the mod team are dinosaurs, but we have also created pterosaurs and mosasaurs, neither of which are dinosaurian. And remember, we spared no expense.